We are amongst the most reputed names in the industry, offering Aloe Vera Shaving Gel. : is made using Panchagavya (Milk-Ghee-Curd-Processed Dung- Distilled Cow Urine) of Indigenous cows, Neem powder, Turmeric Powder and Aloe Vera blended with saponified coconut oil. - Gillette Satin Care Sensitive women's shaving gel is lightly fragranced and specially designed for sensitive skin. The advanced lubricants provide incredible razor glide for protection against nicks and cuts and leaves you soft and smooth every time you shave. For great results, use with Gillette Venus razors. Cosbal Shaving Gel is unique shaving formulation containing Aloe Vera, Wheat Germ Oil & Tea Tree Oil. 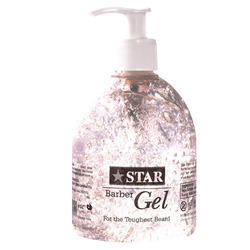 It produces rich foam even on applying low quantity of gel on to the skin and allows the razor to glide smoothly over the skin. It makes the skin soft and shaving moments pleasurable. It is available in 30g & 60g pack size. 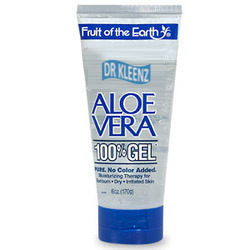 We are a top-notch organization, engaged in providing Mint Aloe Vera Shaving Gel. Aloe vera shaving gel foe men with naturalgoddess of aloe vera & Glycerin useful in dryness and roughness of skin. It protects from germs. No more razor cuts and burns while shaving. Shave Gel with Aloe emollients is a natural scrubber that also removes tanning with a shave. IndicationIt is a natural skin calming agent and moisturizer. Gives cooling sensations after shave and prevents rashes. Lightly scented, it is effective than a cologne.